The incredibly popular Uncharted video games have always been ripe for a Hollywood adaptation. The adventure franchise is incredibly expansive and cinematic; it's kind of like if they actually made a good Indiana Jones game this is what it could be. Many have tried to bring the movie to the big screen, including David O. Russell and Mark Wahlberg back when they were buds, Neil Burger, Mark Boal, and most recently Seth Gordon. None have succeeded, but Sony Pictures still wants to make this happen and the next big move has been made. "Archaeology today is in itself an antiquity, but that world has always fascinated me. Especially when you go to a museum today and wonder how a piece got there to begin with. Plus, the property itself is so popular that it was hard to turn down an opportunity to work on it." Uncharted centers on fortune hunter Nathan Drake, a descendant of explorer Sir Francis Drake. Nathan is one of video games' most beloved characters for the irreverent sense of humor he displays while surviving one impossible situation after another. 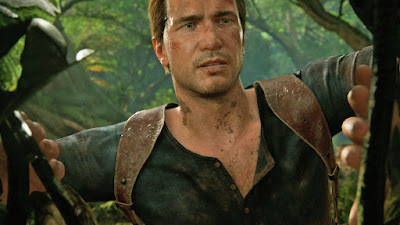 The most recent game, Uncharted 4: A Thief's End, the "final" entry in the franchise, was released in May and became the fastest-selling game for Sony's Playstation 4. Carnahan is a strong choice who has made movies about the power of the elements (The Grey), blockbuster action-comedies (The A-Team), and much darker material (Narc). So he seems to have all of the experience needed to make the kind of Uncharted movie its fans would want, but a lot is going to depend on who ends up as director.